S&P Global Ratings, the world’s leading independent credit ratings provider, has affirmed its ‘A’ rating on the Britannia P&I Club. It added that the outlook remains stable over the next three years based on its view that the Club’s current capital buffer well exceeds S&P’s ‘AAA’ level requirement. S&P based its findings on Britannia’s extremely strong level of capitalization and its strong market position in the P&I mutual business, where it has “a track record of quality in its underwriting” and added that the Club “enjoys strong returns”. The report also notes that with a five-year average net combined ratio (2014-2018) of 88.9%, Britannia’s operating performance has exceeded its long term break-even target and the peer average during this period. 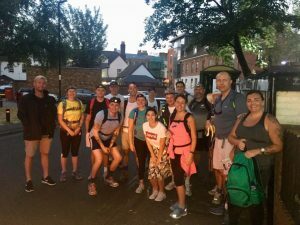 A group of staff from Britannia’s managers, Tindall Riley, walked 56 miles of the Thames Footpath Route to raise money for the Marine Conservation Society with a mission to complete the walk within 24 hours. 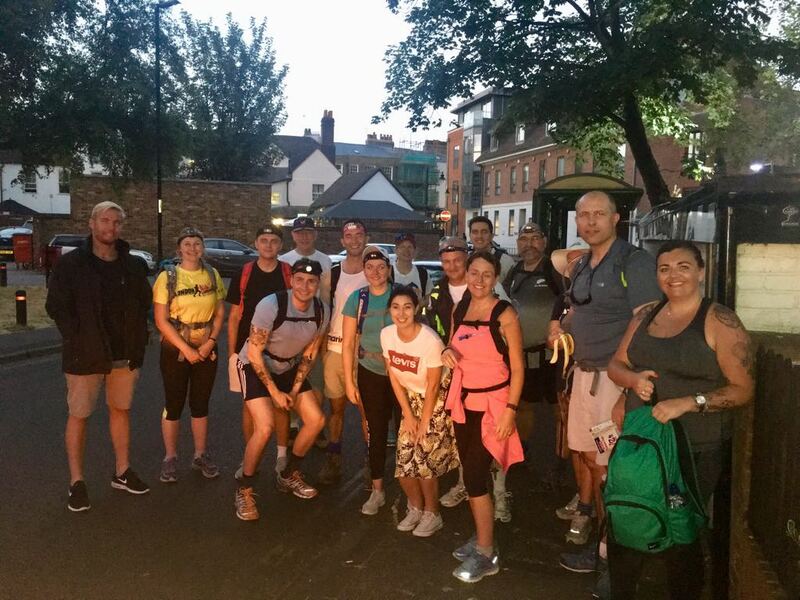 13 staff set off from Cookham, Berkshire, at 6pm on 12th July and walked through the night, before being joined by 13 more colleagues at Hampton Court to finish the remaining 25 miles to London Bridge. Nearly all participants completed the challenge within the time limit, with one group of six doing the entire walk in under 20 hours. The team raised £2,255 via its JustGiving page and with Tindall Riley pledging to match the amount, a total of £4,510 has been raised for this deserving charity which helps protect the planet’s seas, shores and wildlife. “I would like to congratulate my fellow colleagues who took part in this challenge and raised a huge sum of money for such an admirable cause,” said Andrew Cutler, CEO Britannia. “Cleaning up our oceans is vital work and is such an appropriate charity for our team to have chosen, particularly as the IMO is rightly focussing on regulations designed to minimise the maritime industry’s negative impact on our oceans,” he continued. If you would like to find out more about the work that the Marine Conservation Society does, simply access the website: https://www.mcsuk.org/ and get involved as there are plenty of ways that volunteers can help. Following the 23 June 2016 referendum and the UK’s triggering of Article 50 on 29 March 2017, Britannia’s Board has been considering plans to preserve the ability of the Association to write non-UK EU business post Brexit (i.e. to preserve the current benefits of passporting). Possible restrictions on the freedom of movement of staff between the UK and EU would not currently have a material impact on the Association, although this will be monitored. It is hoped that discussions between the UK and the remaining EU states will allow for continued passporting or a transition arrangement. In the meantime, Britannia’s plans assume a worst-case of a “hard Brexit” and the loss of passporting from 29 March 2019. With the advice of third party consultants and having engaged with various EU regulators, Britannia’s Board has now instructed the Managers (Tindall Riley (Britannia) Limited) to focus on Luxembourg as the preferred option. The structure envisaged is the maintenance of Britannia as a UK domiciled insurer and the creation of a new EU (Luxembourg) domiciled insurer. Both insurers (Britannia UK and Britannia Europe) would be owned by a UK domiciled parent company. This will preserve the nature of the Association as a single entity i.e. to maintain a common approach to risk appetite, underwriting, investment, reserving and operational procedures. The Managers will engage further with the Association’s consultants and legal advisers together with the PRA (UK’s insurance regulator) and CAA (Luxembourg’s insurance regulator). It is envisaged that a formal application to establish Britannia Europe will be made in early 2018 to enable the insurer to be licenced and operationally ready by the end of 2018 and in good time for the 20 February 2019 renewal. The important role that Members from Europe play within the Britannia P&I Club was among the issues discussed at its annual European Members Forum held on 9 November in Athens. The Forum, now in its 21st year, which was attended by 52 Members from across Europe, underlined the Club’s commitment to remaining accessible while providing Members with a personalised service. The Forum coincided with the announcement that Britannia will be opening an office in Greece within 2018. 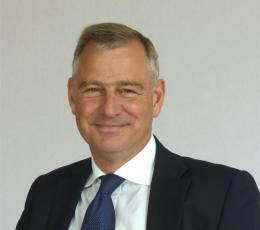 “Holding the European Forum in Greece was important given that it is the home to many of the world’s major shipowners, a number of whom are Britannia Members. Opening a Britannia office in Greece will mean that we can enhance the personalised service to those and future Greek Members,” said Andrew Cutler, CEO of Tindall Riley (Britannia) Ltd.
Dale Hammond (Director, FD&D and claims director for the Club’s Greek membership) and Simon Williams (Director, Underwriting and who has underwriting oversight for the Club’s Greek membership) will oversee arrangements for establishing the office.